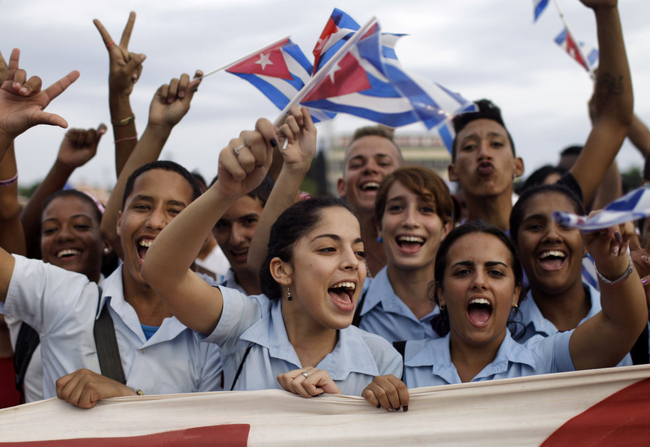 This thought provoking itinerary includes a special invitation to attend the inspirational May Day Rally in Plaza de la Revolución in Havana, joining over 1 million Cubans to mark this special day in the Cuban political calendar. Group members will also take part in the International Solidarity Conference, sharing ideas and values with our Cuban hosts and other participants from around the world. This popular study tour will include a 6 night visit to Pinar del Río Province, with visits to examine rural health and educational services and a unique visit to an agricultural coop in the fascinating landscapes of Viñales. To book please download the factsheet and booking form, complete the booking form and send it with your £100 deposit per person to: Havanatour UK Ltd, 3 Wyllyotts Place, Potters Bar, Herts EN6 2JD. For more information or to request a pack to be sent in the post, please phone 020 7490 5715 or email tours@cuba-solidarity.org.uk . Thank you. Our study tours and events are organised in association with Havanatour UK (ATOL 4636).